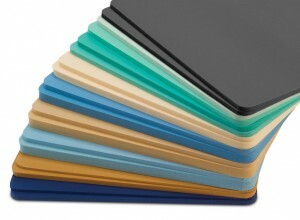 Poron foams are used for sealing, gasketing, sound dampening, vibration isolation, and shock absorption. Made by Rogers Corporation, these open-cell urethanes absorb energy and exhibit low outgassing and low compression set. Poron foam material is inherently flame retardant, and does not contain plasticizers and residual chemicals that can contaminate devices or promote embrittlement. By understanding the features and benefits of Poron cellular urethanes, you can determine whether Poron is right for your application. Low compression set, which means that this open cell foam won’t lose the ability to self-expand after being subjected to normal compression cycles. Poron gaskets won’t remain permanently deformed after an applied force is removed. Poron cellular urethanes also absorb mechanical shock, which makes them a good choice for indoor enclosures, battery compartments, and electronic devices. In general, sealing with Poron gaskets improves as compression set and gasket material width increase. Poron is not recommended for outdoor enclosures, however, and heavy rain or standing water may cause wicking. This open cell foam is not the best choice for some low and high temperature conditions either, so some buyers may require seals, gaskets, or insulation made from silicone, neoprene, or EPDMinstead. With its fine, consistent microcellular structure, Poron urethanes are often used as dust gaskets in cleanrooms and in medical applications. This high-density polyurethane foam also meets UL flammability standards. Resists many petroleum products, automotive fluids, and chemicals. Because Poron does not contain plasticizers, this microcellular foam has a good shelf life and a clean surface for bonding. Interstate Specialty Products is a Made in the USA manufacturing company with a 50-year track record of die cutting custom gaskets and other non-metallic parts for a wide range of industries. Our Sutton, Massachusetts facility is home to a wide variety of fabrication equipment, converting knowledge and experience, and tooling expertise. To learn more about our custom manufacturing capabilities for Poron foam gaskets, contact us on-line or call (800) 984-1811.